KoopaTV: KoopaTV's Live Reaction to the Splatoon 2 Direct! By LUDWIG VON KOOPA - Sure, it starts off with not much new information, BUT AS YOU KEEP WATCHING...! I guess the article title is a misnomer, since I'm the only staffer who watched this, instead of the whole KoopaTV. That's why I put “live reaction” as singular! Well, I'm the MOST-QUALIFIED to be handling this log, anyway, as the site's Splatoon expert. (10:00:22 AM) Ludwig Von Koopa: Squid Research Lab Research Report Presentation. (10:01:06 AM) Ludwig Von Koopa: Talking about the popular tradition of Turf War and Ranked Battle among the growing Inkling culture. (10:01:18 AM) Ludwig Von Koopa: Inkopolis Square prepare "ritualistic" splatting. (10:01:30 AM) Ludwig Von Koopa: I played Splatoon 1 this morning. Everyone's still Japanese. (10:01:46 AM) Ludwig Von Koopa: They don't seem to realise that the objective of Turf War is to ink the ground. (10:01:55 AM) Ludwig Von Koopa: Dat hair and leggings customisation options. (10:02:06 AM) Ludwig Von Koopa: "Let's take a look at some gear." (10:02:26 AM) Ludwig Von Koopa: "Each item you acquire here has one or more abilities"
Flow is taking over from Annie, who previously ran the headgear shop with a fish in her hair. (10:02:58 AM) Ludwig Von Koopa: Flow runs headgear/glasses. (10:03:12 AM) Ludwig Von Koopa: Jelfonzo for clothing. (10:03:20 AM) Ludwig Von Koopa: Bisk is Shoe shop. (10:03:43 AM) Ludwig Von Koopa: Sheldon returns for Weapons. (10:04:13 AM) Ludwig Von Koopa: You can skip Sheldon's rants by fast-forwarding text. (10:06:14 AM) Ludwig Von Koopa: High firing rate Blaster. (10:06:18 AM) Ludwig Von Koopa: Flingza Roller. (10:06:35 AM) Ludwig Von Koopa: The roller changes shape depending on how you fling. (10:06:40 AM) Ludwig Von Koopa: "Goo Tuber" weapon, a charger. (10:06:51 AM) Ludwig Von Koopa: It holds a charge for "an extremely long time"
(10:06:55 AM) Ludwig Von Koopa: "Dapple Dualies"
(10:07:04 AM) Ludwig Von Koopa: Incredibly fast. (10:07:14 AM) Ludwig Von Koopa: "But, what about sub-weapons?" (10:07:36 AM) Ludwig Von Koopa: Toxic Mist gasses people. (10:08:08 AM) Ludwig Von Koopa: ALL of the Special Weapons in the game are NEW. (10:08:22 AM) Ludwig Von Koopa: Got dem Tenta Missiles, which were popular at E3. (10:08:25 AM) Ludwig Von Koopa: Same with Inkjet. (10:09:56 AM) Ludwig Von Koopa: Baller IS a kind of transformation, isn't it? I didn't go over what the Baller does, but it looks like you encase yourself in a ball and roll around, even up walls. (10:10:22 AM) Ludwig Von Koopa: Going over stages. (10:10:36 AM) Ludwig Von Koopa: Port Mackerel is back and with sponges. 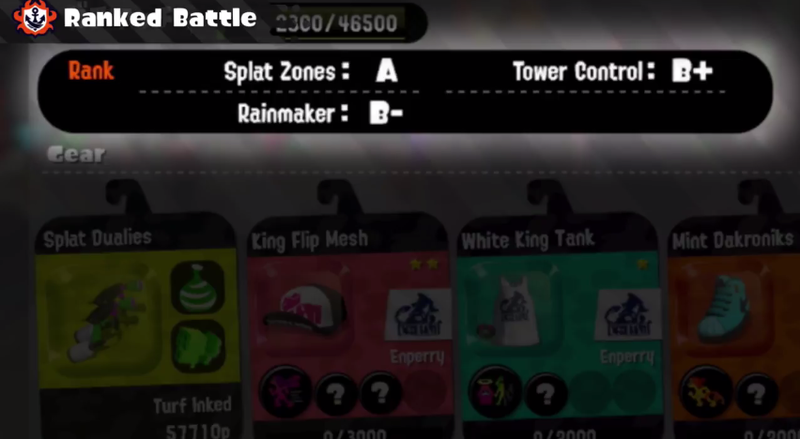 I was carried by getting great teammates to an A+ rank in Splatoon, and then stopped playing Ranked. I guess being carried will be more difficult with THREE ranks to manage! (10:12:18 AM) Ludwig Von Koopa: But it appears to be easier to rank up? (10:12:45 AM) Ludwig Von Koopa: League Battle, special timed period for ranked battle with a team. (10:12:49 AM) Ludwig Von Koopa: It's Murch? (10:13:09 AM) Ludwig Von Koopa: Murch is like a buffed Spyke from Splatoon 1. (10:13:21 AM) Ludwig Von Koopa: Ahhh new Gear Abilities. (10:13:23 AM) Ludwig Von Koopa: "Thermal Ink"
(10:13:28 AM) Ludwig Von Koopa: "Object Shredder"
(10:14:10 AM) Ludwig Von Koopa: "Respawn Punisher" is a new ability, making dudes you splat take longer to respawn. (10:14:36 AM) Ludwig Von Koopa: Murch can add or remove gear abilities. (10:14:48 AM) Ludwig Von Koopa: As opposed to making you reroll all of the abilities you have. (10:15:05 AM) Ludwig Von Koopa: Something about "ability chunks" or something. (10:15:21 AM) Ludwig Von Koopa: Salmon Run is based on certain times only. (10:15:38 AM) Ludwig Von Koopa: I guess to limit how much you can grind off it. (10:16:09 AM) Ludwig Von Koopa: "Science changes with the tide, and so too does the water level!" (10:16:21 AM) Ludwig Von Koopa: Tell that to the Global Warmers. (10:16:45 AM) Ludwig Von Koopa: Smartphone-using Inkling. Never forget: Inklings are horrible, juvenile delinquents. (10:17:20 AM) Ludwig Von Koopa: You can analyse your last 50 matches. (10:17:34 AM) Ludwig Von Koopa: ugh all of the Inklings are addicted to their smartphones. (10:18:04 AM) Ludwig Von Koopa: SplatNet 2 is smart device only apparently, via Nintendo Switch's online app. (10:19:40 AM) Ludwig Von Koopa: Now doing fast food. (10:19:53 AM) Ludwig Von Koopa: That does stuff like increase your experience gain. (10:19:56 AM) Ludwig Von Koopa: "Crusty Seanwich"
(10:20:08 AM) Ludwig Von Koopa: You can play "Squid Beats 2"
(10:20:18 AM) Ludwig Von Koopa: Squid Beats 1 was an amiibo-exclusive minigame. (10:21:05 AM) Ludwig Von Koopa: I'll talk if they say something not mentioned at E3. (10:21:21 AM) Ludwig Von Koopa: "Updates"
(10:21:29 AM) Ludwig Von Koopa: "Splat Brella"
The Splat Brella is basically the Parasol ability from the Kirby series, which is one of my favourite abilities. Though, I don't think you can use it to float around. (10:22:01 AM) Ludwig Von Koopa: New special weapons too, like a bubble shooter. (10:22:08 AM) Ludwig Von Koopa: And new gear of course. And more stages. (10:23:09 AM) Ludwig Von Koopa: You can actually play with your friends instead of randoms in Splatfest. (10:23:32 AM) Ludwig Von Koopa: "Marina"
It's Marina of the band, Off the Hook! She will probably have a lot of nasty fan-art. (10:23:37 AM) Ludwig Von Koopa: "Pearl"
(10:23:48 AM) Ludwig Von Koopa: "Off the Hook"
(10:24:37 AM) Ludwig Von Koopa: but Marina is only wearing, like, a bra. (10:24:54 AM) Ludwig Von Koopa: Okay, that's done. (10:25:04 AM) Ludwig Von Koopa: They're the new newspeople. Pearl looks like the freaking tooth fairy. Where's Callie, anyway? (10:25:44 AM) Ludwig Von Koopa: So Marina might be a Marie expy? (10:26:31 AM) Ludwig Von Koopa: "Don't get cooked... Stay off the hook!" as opposed to "stay freshed"
(10:27:02 AM) Ludwig Von Koopa: will there be a full Cake vs. Ice Cream after the game's release? (10:28:46 AM) Ludwig Von Koopa: Marina is an Octoling. (10:29:18 AM) Ludwig Von Koopa: Got dat peace in the Middle East. Stay tuned to KoopaTV for the Splatfest thematic analysis articles to make a grand return! Just search any North American Splatfest theme after the first, like, three of them for KoopaTV's thoughts. There's even some for Europe! Check out KoopaTV's live reactions to the dedicated Direct for the first Splatoon, here! 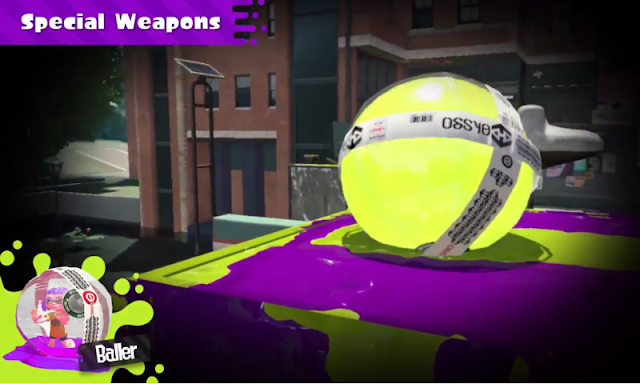 If you're interested in a lot of details about the weapons in use, check out the World Inkling Invitational tournament for Splatoon 2 at E3 2017 here. We know all about the Splatoon 2 Salmon Run mode thanks to this E3 2017 reaction log. You wouldn't know it from this very log, but it looks like the Splatoon 2 single-player mode is going to look great, according to THIS log. The only KoopaTV staffer with direct Splatoon 2 gameplay experience is Rawk, and... he wasn't a big fan. Don't worry, I'm Team Ice Cream so I'll represent your team choice. 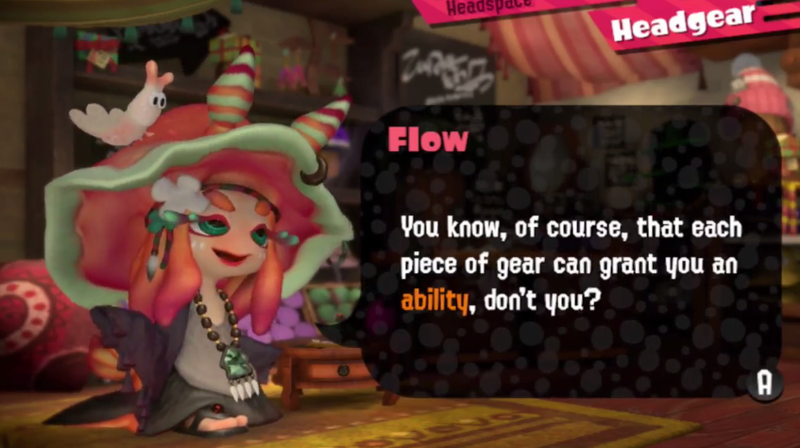 Also my theory is Callie joined the Octarians to get equality for them. Single player is a flashback as you can see Octolings are already integrated into normal society. Palestinians/Arabs actually integrated in Israel right now are pretty well-off, normal, and happy. They work and don't kill dudes. The ones in their own self-governed places are nasty folks, though. Vanilla ice cream with rainbow sprinkles is like bear to honey for me. I may or may not have cravings for it during my pregnancy as well. Do differently-coloured sprinkles actually have different flavours, or is it purely cosmetic? Cosmetic, but food looking appealing helps with the perception of taste I believe. Plan to write about why one should join Team Ice Cream anyway? I can provide screenshots of the demo but it will be after the fact though. See, I don't know what to do with Cake vs. Ice Cream. I want to know if the Splatfest itself is a demo and they'll have a REAL version of Cake vs. Ice Cream post-release, or the Splatfest is a demo-exclusive. I mean, if it's a demo, is it really a REAL Splatfest? As in, would it be canon? If they're gonna have a canon Cake vs. Ice Cream a month after release, then I'd rather do a write-up of it then. I can do a guest post about the demo Splatfest. Wot, you don't think Rawk would do it? ...yeah, I doubt he would. 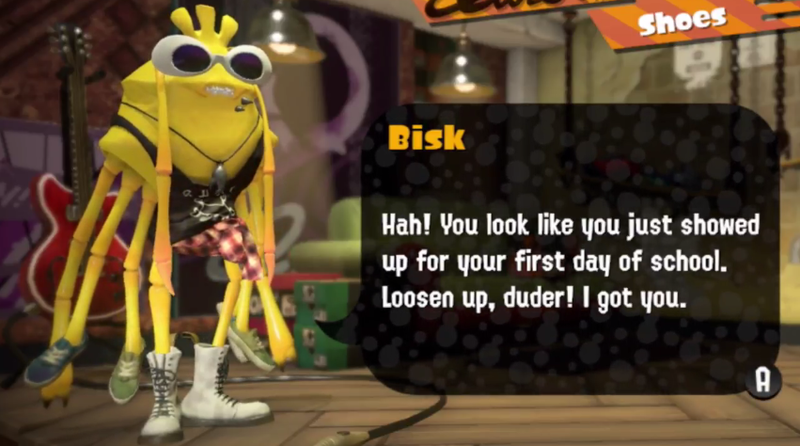 Might as well get someone who actually likes Splatoon to do it. I hope Pearl and Marina plushies will come out fast. I know Lil Judd plush already exists. I need them for submitting pics here. Pearl reminds me of that tiny bulldog from one of the Tom and Jerry cartoons. It reminded some NeoGAF moron of... ME. Which reminds me of how Rawk thought the blue Broodal reminded him of me, too. ALso Pearl reminds me of Sheba from Golden Sun. Looks like she got a new job after no Golden Sun game for so long. That's... an insult to Sheba. 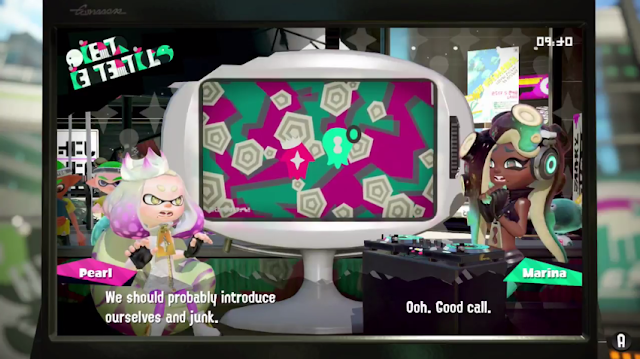 I guess you will be Team Marina for the obligatory final Waifu Splatfest. At least Callie vs Marie had a close ratio in popularity. 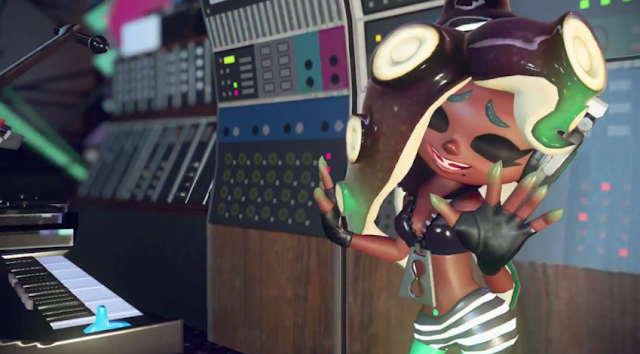 Marina will definitely crush Pearl in the popularity ratio. I don't really WANT to be Team Marina, though. But people (and maybe me) are probably rushing to judgment/opinions before the game is out. That's a weak thing to say, but we were horrified by Callie and Marie's live performance/existence back in the Splatoon Direct before it came out and we (I) got attached to them. I had no idea back in the middle of May 2015 that I'd have a difficult time choosing between them in a "I like both of the Squid Sisters" way for the final Splatfest. I'm downloading the Splatfest World Premiere. I should consider creating a Twitter account just for uploading Switch games pics. I have a totally empty Facebook account in anticipation of being a Switch picture slave. Look forward to me posting pics from the demo. I saw on other sites that Pearl and Marina already have banter with each other's choices. Do you...want @TheREALKoopaTV to follow it? Currently posting screenshots on my Twitter account if you want proof. So it's all available on the demo thing already! While I prefer ice cream, Pearl is the better debater. Done with the dialogue plus some extra. I like the close-up shots. Took a screenshot of someone making an Not-Miiverse post comparing you to Pearl. The first Splatfest is coming much sooner than I expected. It's too bad that I will not be able to particapate in it, but at least I still have the original game to hold me over. I have to say that the sequel appears to be quite a step up. The new weapons, specials, and stages revealed so far look nothing short of amazing. One of the things I want(ed) with Splatoon 2 are regional servers outside of Splatfest. The lack of that makes Splatoon 1 almost... unenjoyable, I guess. Maybe I should get into speed-running its story mode. I'm with Bill, as everyone knows that the cake is a lie. Also, I recommend making the Splatfest post nonetheless. 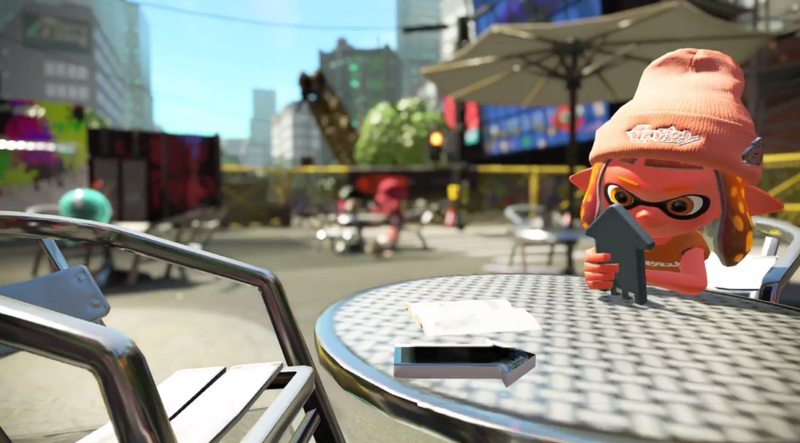 Without a doubt, the people with Nintendo Switches will always be greater than or equal to the people playing Splatoon 2, and there may be a bigger audience playing the "Cake vs. Ice Cream" Splatfest here than a majority of the game's lifespan, despite it being only four hours long! 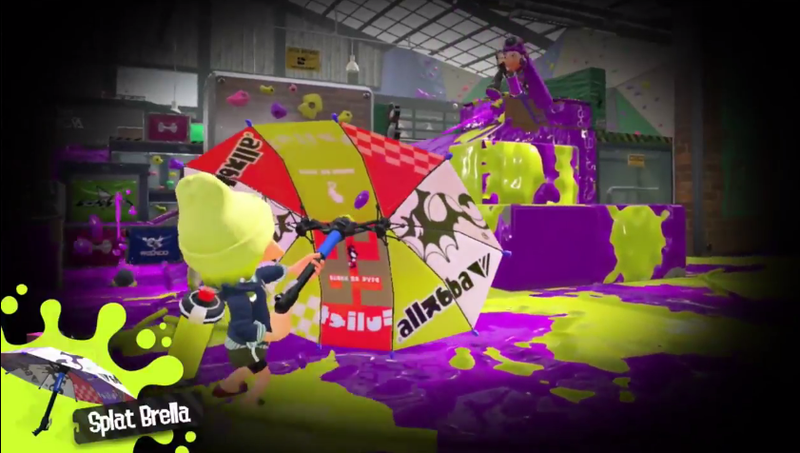 Plus, if they do a rematch, you can relink to the post created by you, like the "Dogs vs. Cats" Splatfest rematch in Europe. Fun fact: I never made an original Dogs vs. Cats Splatfest post, so the one I made for Europe was brand-new analysis! Okay fine I'll do it jeez. 1. It's 3 points, not 5. 2. You wouldn't get the points anyway since you're not the first dude to even ask for it.